Are you also a fan of Cristiano Ronaldo and you want to follow his every hairstyle? The famous soccer player impresses all his fans not only by the way he plays but also by wearing different hairstyles. 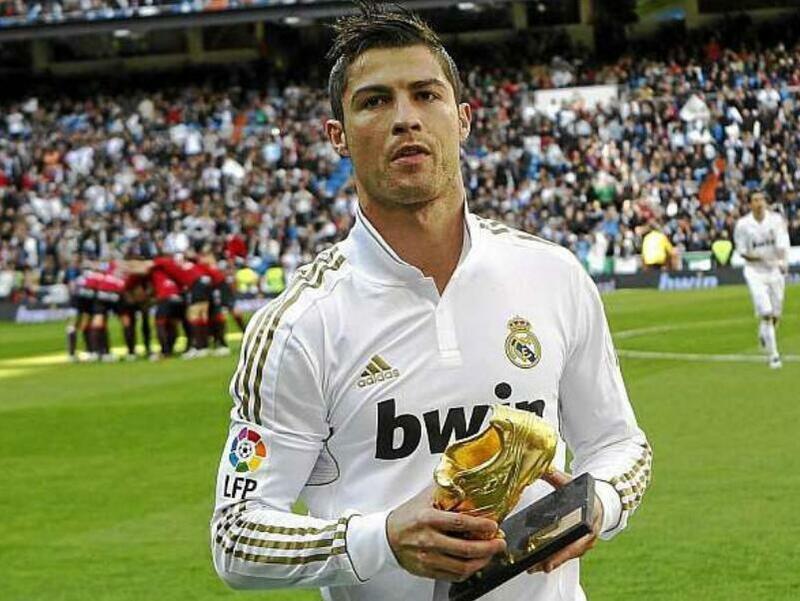 He is not just a soccer player as he also owns two CR7 boutiques. This only displays his interest and great influence to the industry of fashion. Cristiano Ronaldo exerts a lot of effort for his hairstyle. Cristiano Ronaldo haircuts have also become examples not only for his fans but also for many men. He also comes up with new creative styles that are easy to achieve and maintain. 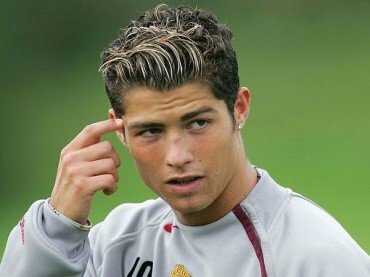 Most of the Cristiano Ronaldo haircuts have medium length in order to keep the hair away from the face especially during matches. The hairstyles offered are also suitable for all men regardless of their profession and age. There are also Cristiano Ronaldo haircut styles that work better with natural curly hair as Ronaldo’s hair is also curly. But there are also many hairstyles for straight hair.Take a look at the 30 cool and fantastic Cristiano Ronaldo hairstyles below. Since Ronaldo always uses hair gel, most of the styles mentioned below are better with gel to keep the style in order. 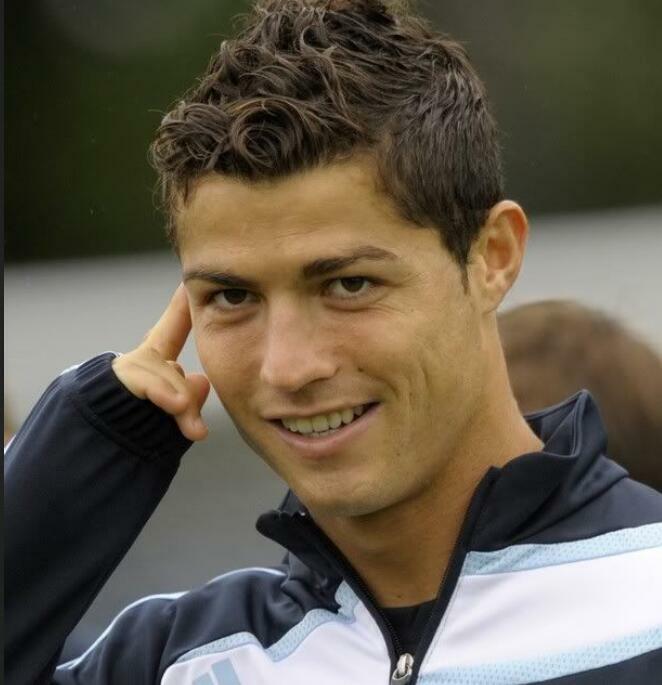 The wavy top is one of Cristiano Ronaldo’s favorite hairstyle as he was seen wearing this style many times. It can be achieved by cutting the sides with clippers and keeping the medium length on top of the hair to show off the natural waves. Simply run your fingers backwards to finish. It was believed that curly hair is hard to manage but this Cristiano Ronaldo haircut allows you to keep your curly hair at ease. The hairs at the sides are simply trimmed short with leaving medium length hair on top. A small amount of gel is also applied to make gentle spikes. The spike hairstyle is perfect not only for physical activities but also for office setting. Spikes can add more texture to hair and they are just so stylish. Since most men create spikes, you can also try adding a line on one side of the head for more attraction just like one of the Cristiano Ronaldo haircut styles. This simple line basically adds spice to the spikes. 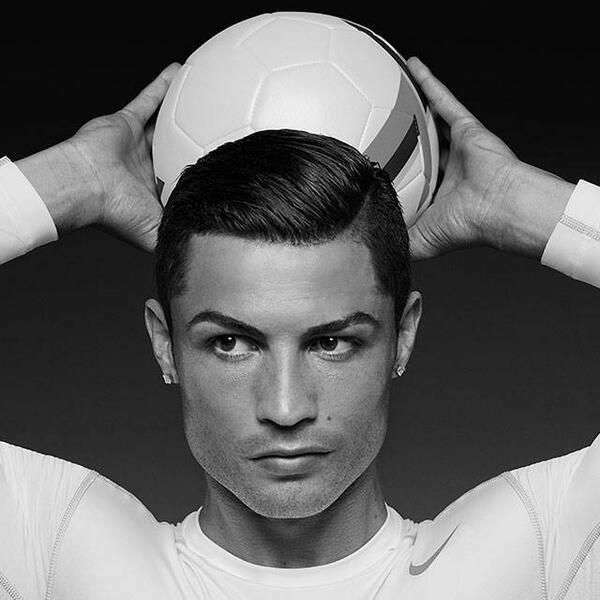 In this Cristiano Ronaldo haircut, the upper level has medium hair length and is only a bit longer than the hair on both sides. A small amount of gel is applied to keep the hair away from the face and combed backwards. The sides are only trimmed and not shaved close to the scalp so it creates a great blending. It also keeps the face looking fresh and awesome. It is better to play football or other ball games with short hair. The shorter the hair is, the more convenient it is to play. It is also best to just shave the hair and you can leave0 hair on top short enough to achieve a Mohawk style. You can also include designs at the sides for more charm. This Cristiano Ronaldo haircut is not limited for athletes as it is also great for attending special occasions and other formal events. It is also perfect for office setting. The sides are just trimmed short and small amount of gel is applied on top and combed backwards. 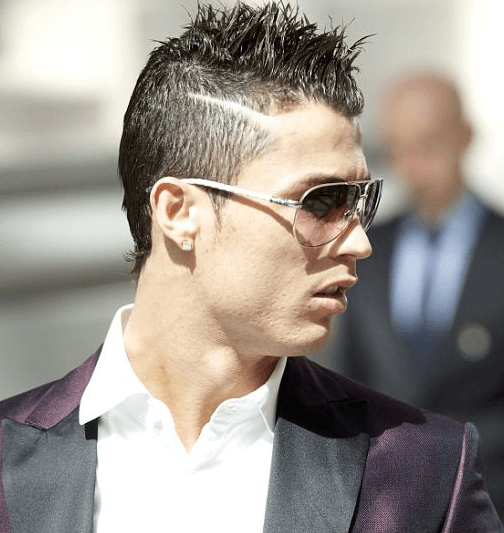 Cristiano Ronaldo wears this hairstyle when attending functions and the style is indeed charming. 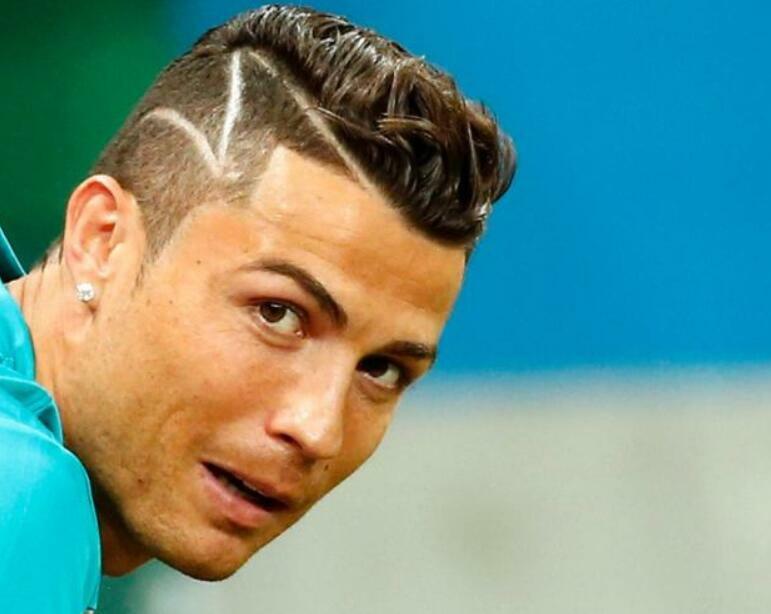 Ronaldo’s faux hawk is based from the traditional faux hawk styles but he added spice to his version. Only the top has longer hairs while the back and the sides have the same short hair length. Natural curls look great with this version and wax or gel can also be applied to keep the curls in place. 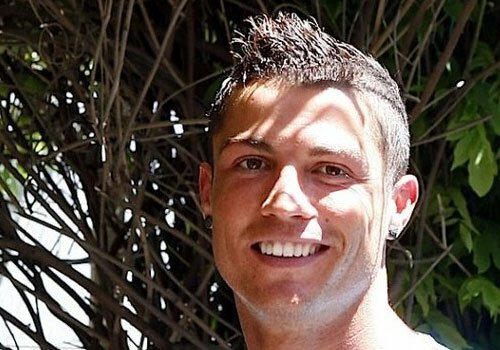 This Cristiano Ronaldo haircut is great for attending parties and outdoor activities. 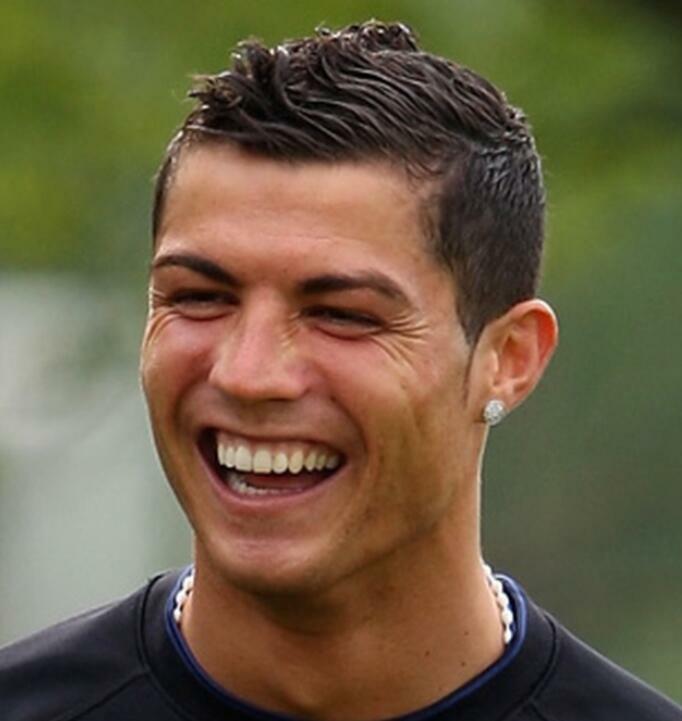 If you also have natural curls, so does Cristiano Ronaldo. Your natural curls can help you achieve this hairstyle easy. The sides are simply cut short but not too short or close to the scalp. The top has medium length and the front top has blonde color to give a highlight the messy top. 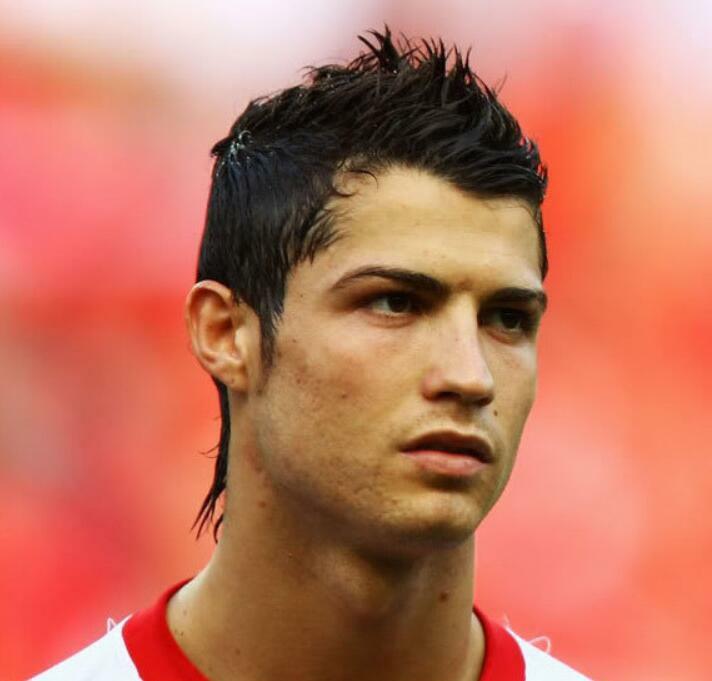 One of the most popular Cristiano Ronaldo haircut styles is the undercut. It is very easy to maintain and does not require too much effort. The only secret in styling undercut is to experiment with the top part. Undercut style has both sides cut short while the top has longer length. You can apply hair wax or gel and comb to make it flat and look neat. Cristiano Ronaldo has thick hair that it is very easy to deal with and only a little effort is required to make the hair look great. 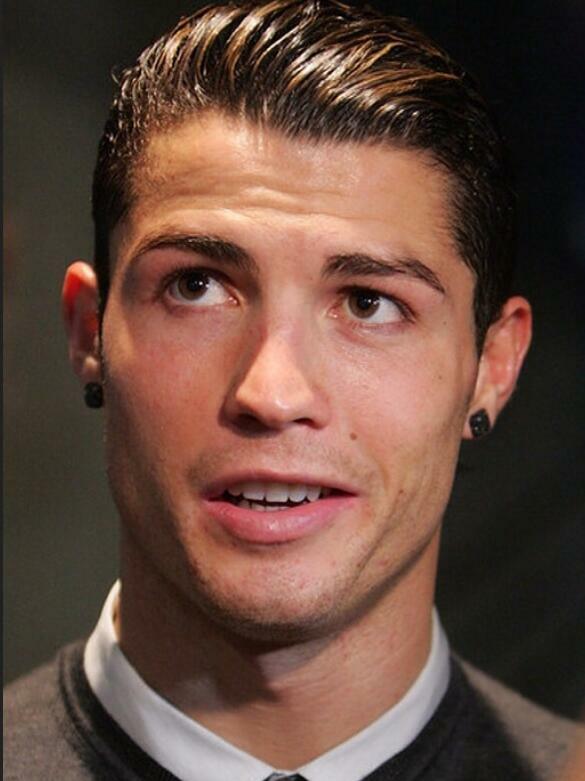 In this Cristiano Ronaldo haircut, the top hair is simply brushed backwards. Both sides and the back are simply trimmed short to blend well with the top. A small amount of gel is also used to keep the hair on top in shape and it is perfect! You can always make experiments with your hair. Like in this hair style, there is no need to keep the spikes vertical. You can also make them curly so that the spikes look like blazing fire. A gel or pomade is also necessary to keep the curls together. This hairstyle is great not only for playing ballgames but also for attending parties. This is also one of the most popular Cristiano Ronaldo haircut styles. Since long top hair can be complicated during the match, Ronaldo styled his hair with side swept bangs and spikes at the back top. It is messy but looks awesome and neat at the same time. A gel is also required to keep the style in place especially if you will wear this hairstyle for outdoor activities. 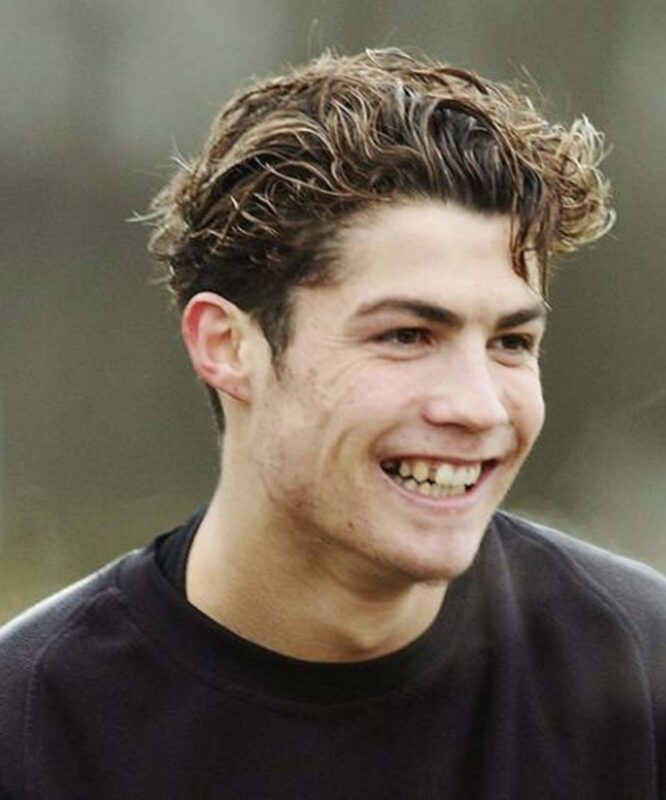 This Cristiano Ronaldo haircut is one of the styles Ronaldo worn during his early days and many people today still like to wear this messy hair style with highlights. The bangs are simply are kept longer while the sides are cut short enough for outdoor activities. The top also has medium length hair which combines perfectly with the messy bangs. 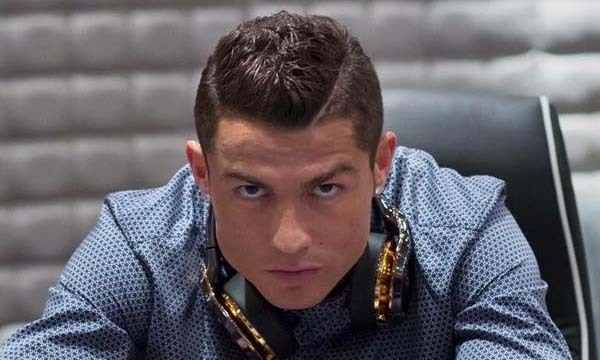 Many Cristiano Ronaldo fans went crazy for this hairstyle. Aside from his fans, many people also find mullet hairstyle cool and incredible. The sides have short hair while the front down to the back of the neck has long hairs. The hair on top is also styled with gel to make short spikes. 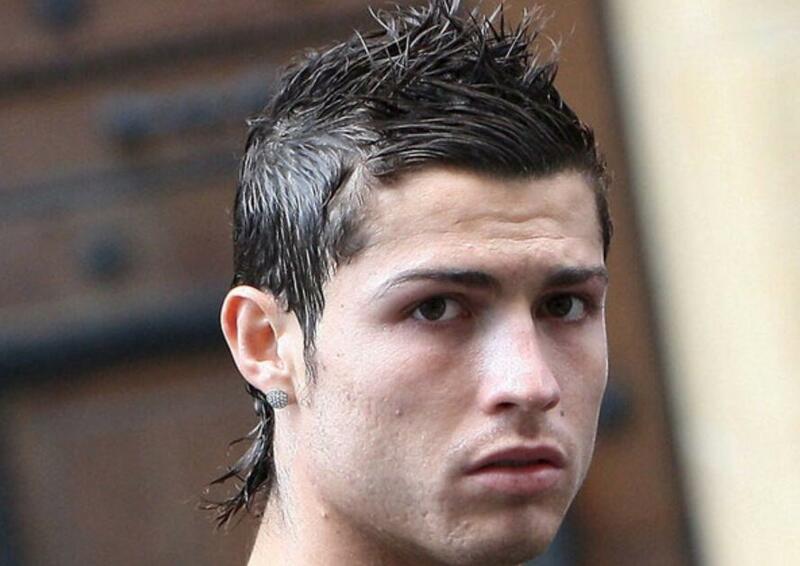 Cristiano Ronaldo also likes to wear wet look hairstyles and he always try to make something new. The wet look style needs quite a lot of gel and creativity. In this photo, the hair on top is simply combed over backwards and reflects the light. This hairstyle is also perfect for outdoor activities and office setting. It also looks very neat so you can feel great all the time. 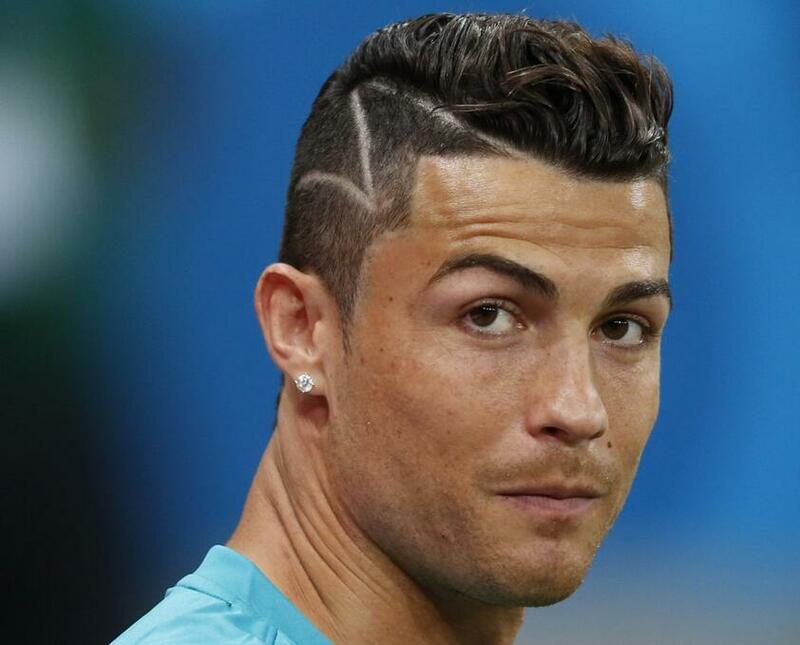 Here is another incredible haircut style of Cristiano Ronaldo. It gives additional charming points and it is safe to say that this hairstyle gives a gentleman look. The sides are trimmed but not too short and the top front has medium length heir that is combed backwards with a bit of curl. It only requires a small amount of gel and very easy to manage. The disconnected hairstyle of Cristiano Ronaldo is very easy to pull off. Both sides are simply shaved but not to the scalp. The hair on top is also cut but leaving two inches for styling. If you have natural curls, you can also achieve the same hairstyle as Ronaldo’s. If you have straight hair, it is still great as it looks more neat and clean. 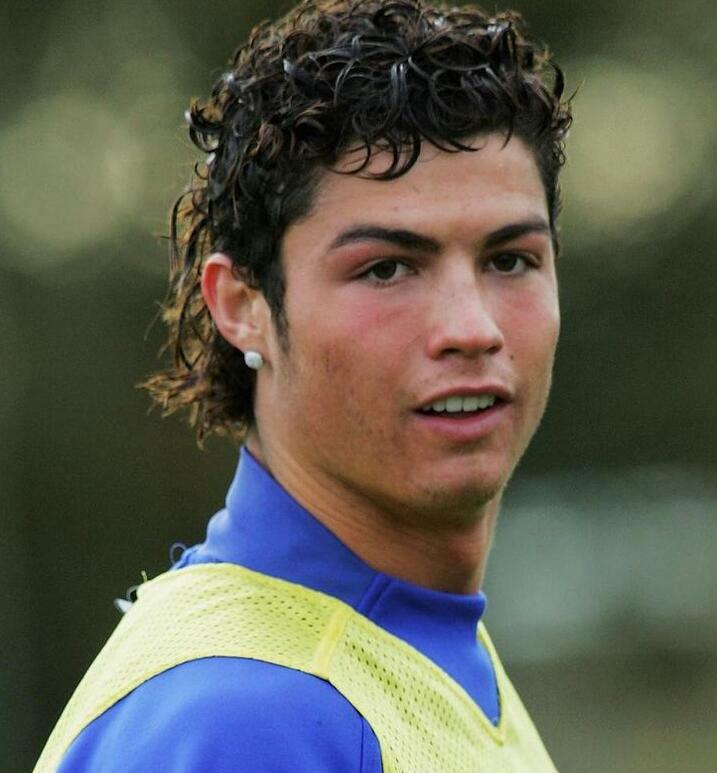 You probably did not imagine Ronaldo wearing overall curls but yes, there was actually times when he used to wear this hairstyle. Since he has natural curly hair, it only took a little time to make overall curls. The curls have medium length and hair product is also required to maintain the style. This is one of the Cristiano Ronaldo haircut styles versions of fohawk. Instead of keeping the sides short like the regular fohawk, he simply lets the hair grow longer to add more texture and design. To achieve this hairstyle, simply let your hair grow longer or keep the medium length and make sure that the top towards the back has longer length. Use gel or wax to add spiky effect on top. This pompadour style of Cristiano Ronaldo also has the top hair longer than the rest and brushed towards the back. The sides are also shorter with faded effects. The top has also smooth wave which can be achieved with a comb and small amount of gel. This hairstyle is great for attending special occasions, formal events and for office setting. One of the men’s most favorite Cristiano Ronaldo haircut styles is the windblown style. In this style, both sides and the back are shaved close the scalp while the top hair is one inch or so. It also has highlights and styled with spikes but a bit leaning to one side so the hair looks like being blown by the wind. This Cristiano Ronaldo haircut is very clean and looks awesome. 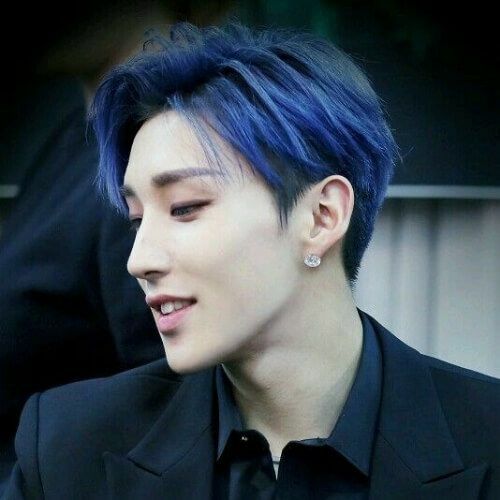 The sides of the hair are just trimmed short and there is a visible line on one side that separates the top longer hair from the short hair at the side. The top hair is swept to the opposite side of the line with a comb and gel. Wearing this can give you fresh feeling and authority. In this hairstyle, the top hairs are brought together to make a point in the middle. 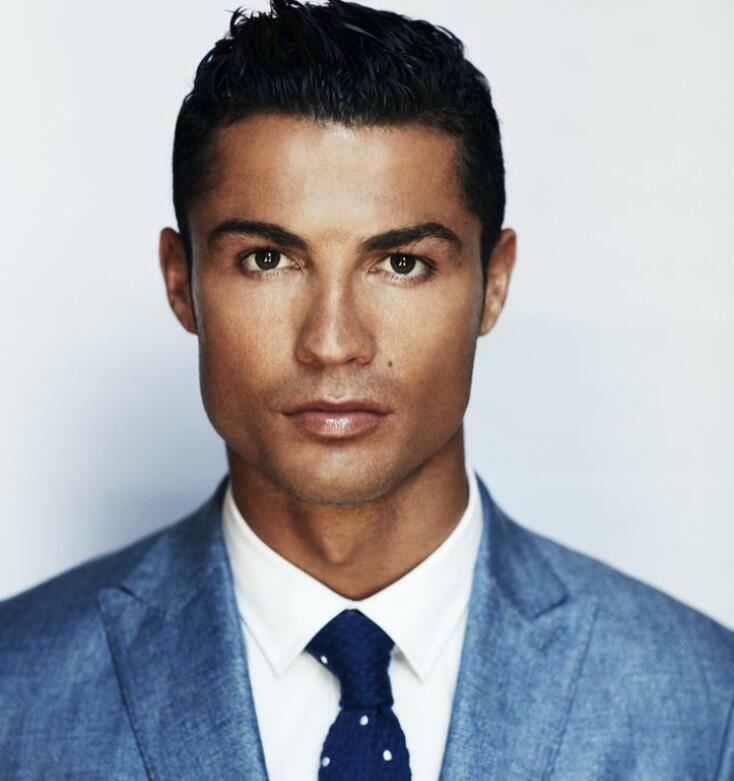 Ronaldo curled the point a bit to make the top look softer and appealing. You can achieve this hairstyle with the help of gel. The back also has longer hairs which are formed into spikes going sideways. 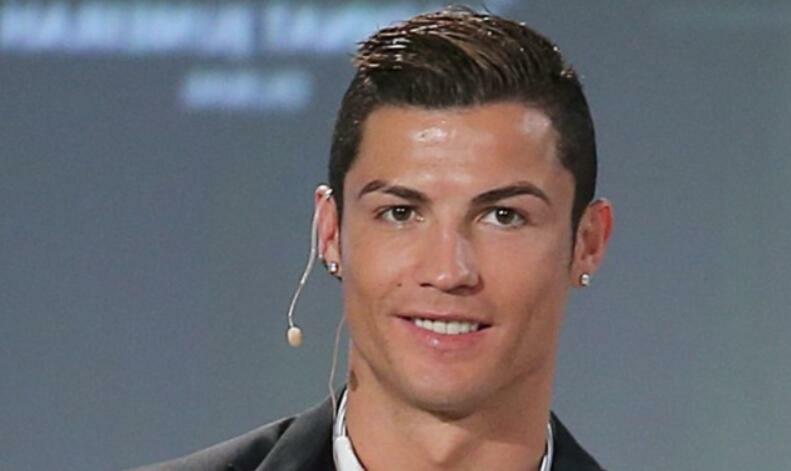 For men who always need to appear formal, this Cristiano Ronaldo haircut might be your inspiration. This hairstyle gives a professional look which is perfect for attending business meetings, formal events and special occasions. The sides are just trimmed with scissors with visible square shape on the forehead. The top is also cut short but longer than the sides. 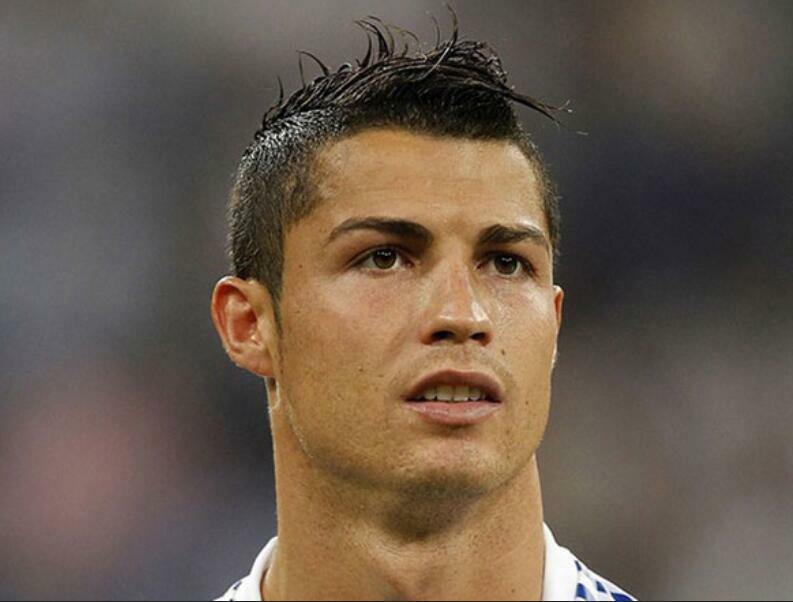 This is also one of the most stunning Cristiano Ronaldo haircut styles that men like to achieve. The top has more than an inch and styled upwards to make at least two big waves. 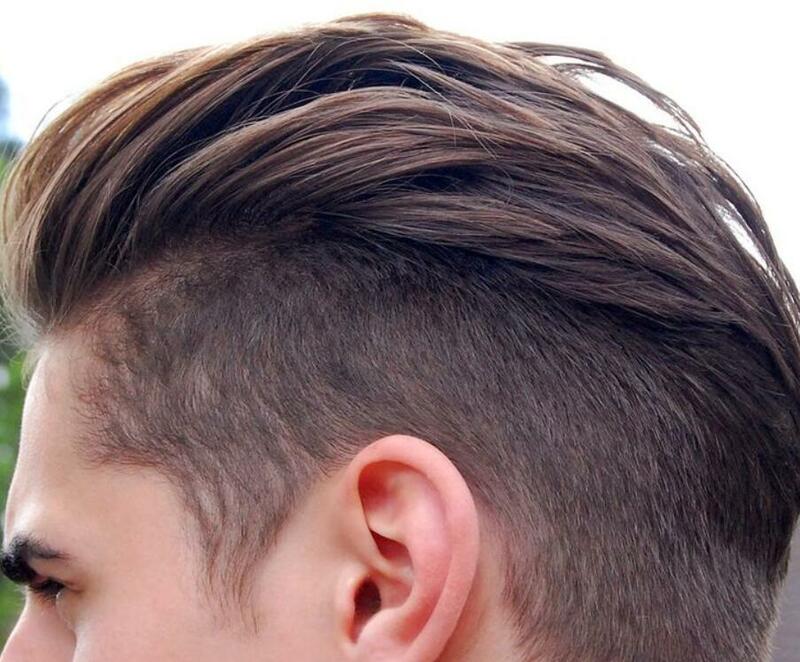 The tips of the waves are also spiky but look soft and neat while the sides are trimmed short. It is also easier to do the style on top with natural wavy hair. There is only a little effort to achieve this style as natural curly hair can always help when making spikes. The sides are simply shaved with clippers and the top is formed into many spikes with the help of gel. This hairstyle is perfect not only for playing sports but also for outdoor activities and parties. 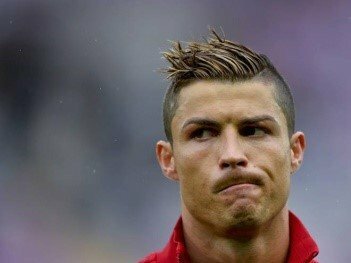 This Cristiano Ronaldo haircut is from the 1950s but looking but Cristiano Ronaldo wears it perfectly so many of his fans decided to wear the same hairstyle. The top has two or three inches long and brushed sideways towards the back while the sides have an inch long. It also keeps the hair from the face for clean, fresh and handsome feeling. 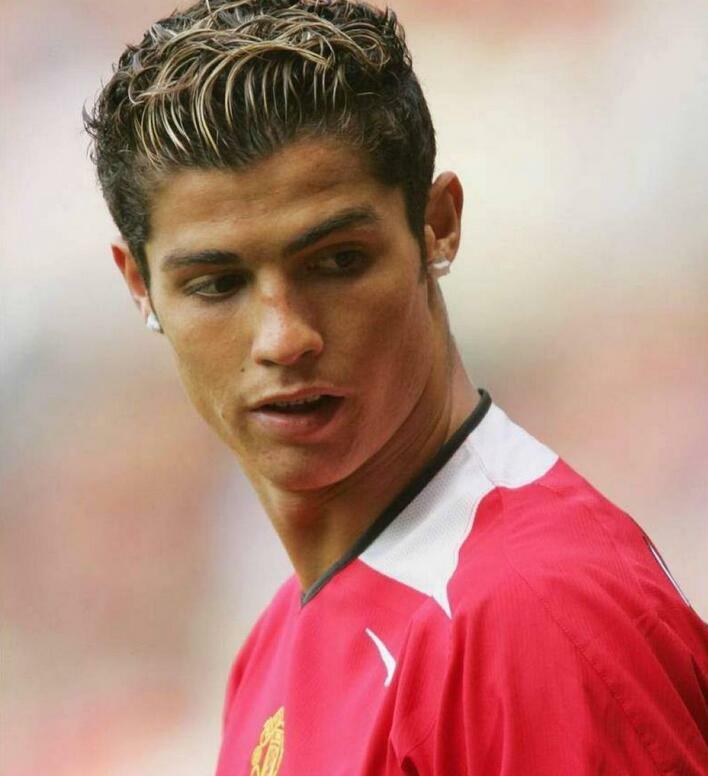 Cristiano Ronaldo kept the hairstyle simple but very masculine by emphasizing his natural curly and spiky locks. With a help of gel, the hair on top is neatly done in shaggy style. The sides are simply combed down. This faux hawk hairstyle has different version as Cristiano Ronaldo always try to experiment with his hair. The long hair is only kept on the top and does not extend towards the back. It also has detailed spikes on top while the sides and back are cut with the same length. This Cristiano Ronaldo haircut has the right mix of curls and waves. The top has medium length and curled. The curls are messy and create waves. The sides are simply combed towards the ears to highlight the shapes on top.